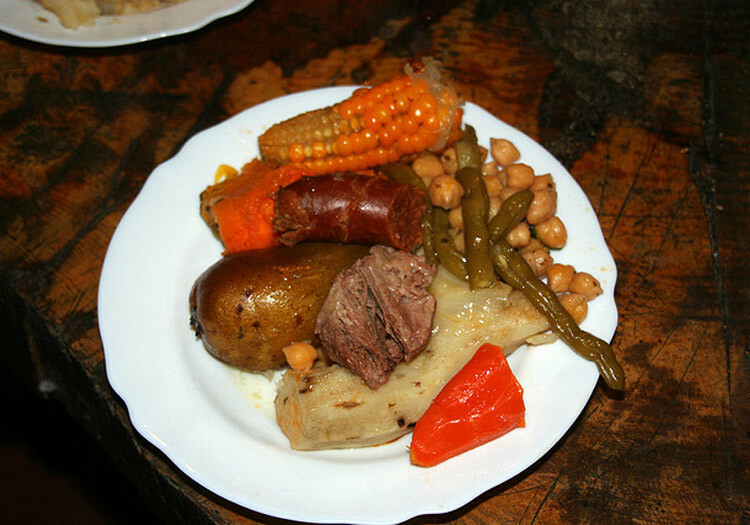 In Argentine criolla cuisine, each typical recipe, like locro, matambre, tamal or humita, is adapted to a national festivity, or a region. 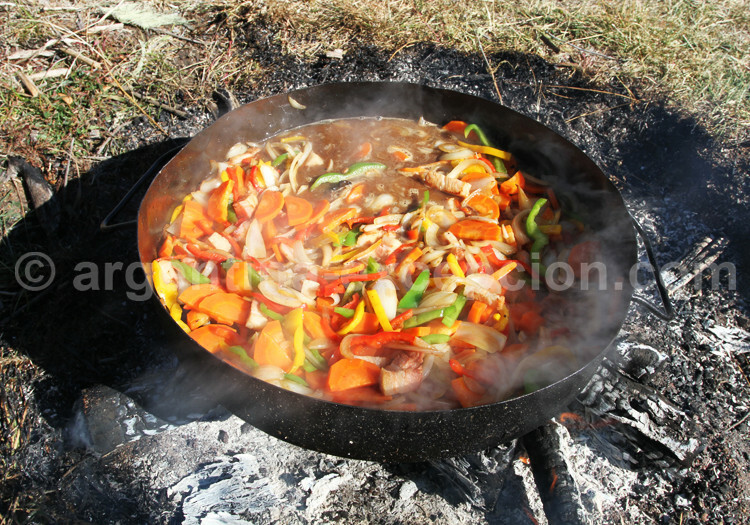 This stew is eaten in almost all the provinces with regional changes, especially in winter. Locro ingredients: corn, white beans, pumpkin, pork sausage, bacon, pig’s guts and feet (or ears), small pieces of beef meat (not always); all the ingredients slowly cooked with pepper, onion and some spices for at least two hours. It is preferably served hot in a clay plate. Locro is a very popular dish, especially in the Northwestern region. 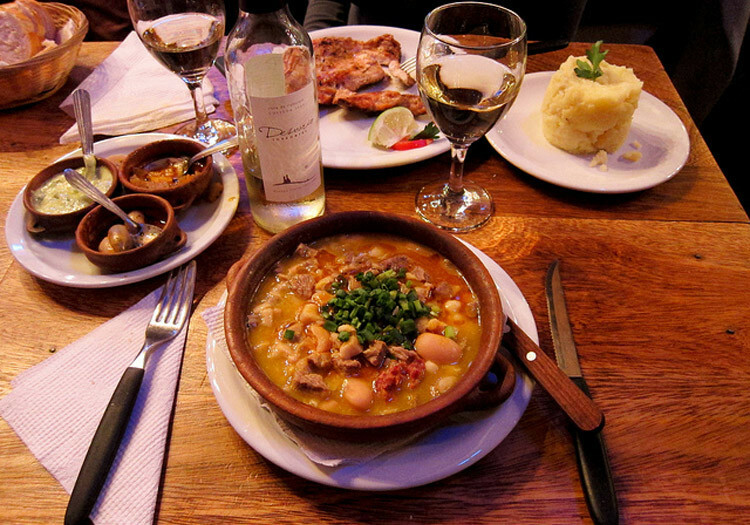 It is the most typical Argentine stew. Ingredients: fatty and lean beef meat, sausages, bones (marrow), carrots, leek, potatoes, sweet potatoes, corn, cabbage, chickpea, onion, celery, parley, bay leaf. It is served with mustard, spicy sauce and mayonnaise. A great classic for winter. Lentil stew is another winter dish of the Criolla cuisine. It is cheap and nutritious. Ingredients: lentil, pork sausage, bacon (or meat), onion, pepper, garlic, tomato, parsley. 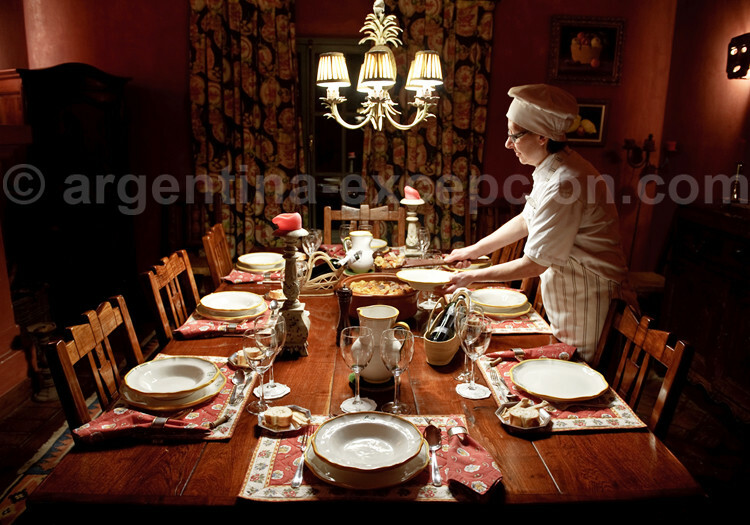 Argentine meat stew is ideal as accompaniment for pasta. Ingredients: beef meat, garlic, onion, carrots, tomatoes, and tomato extract, mushrooms, white wine, meat soup and bay leaf. It shall be slowly cooked at least one hour and a half. There is a delicious variant with ossobuco or chicken. 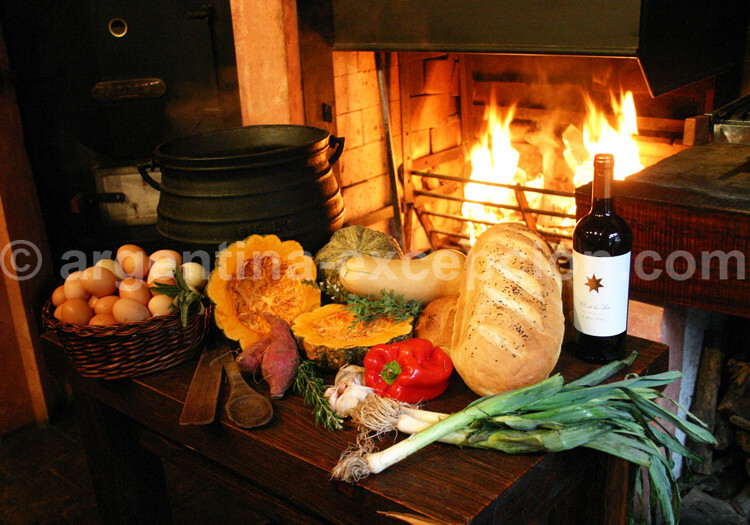 In Argentina, there are several types of pumpkin (round, oblong…). You must try pumpkin carbonada, a stuffed pumpkin. The pumpkin is emptied, cut into two halves and baked in the oven with butter, milk and sugar. It is again baked after being stuffed with carbonada: minced meat fried with onion, pepper, tomato, corn, rice, white wine, cumin. The pumpkin is served in one piece closed. 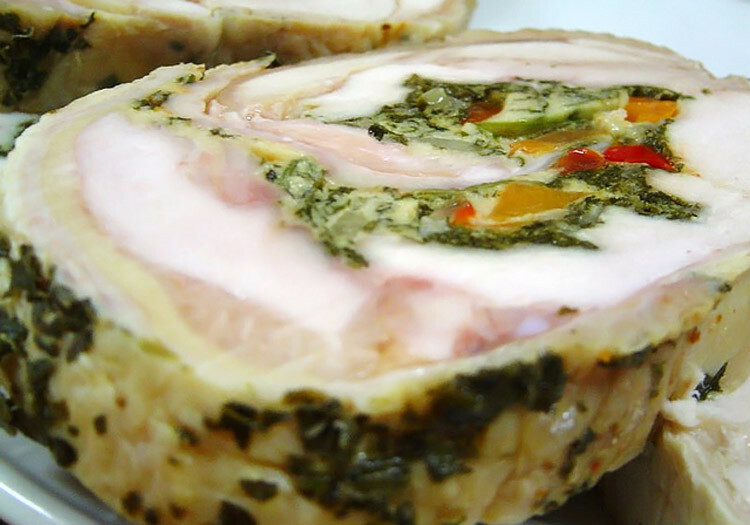 Matambre, a sort of stuffed roll, is a classical dish in the Argentine cuisine. There are endless varieties of fillings. Matambre is first the name of the piece of (veal) meat from the cow’s side. Here you are a classical recipe of matambre: take out the excessive fat from the matambre, extend it and rub it with vinegar (or lemon) and garlic, spray with oregano, garlic, bay leaf and parsley. Let it marinate before stuffing it with a mixture of bread, milk (or wine), cheese and onion, ham, grilled and peeled pepper, carrots, boiled eggs. Roll it up, wrap it with a piece of clothing and boil it for two hours. Once cooled down, the matambre is cut in slices. It is ideal for a snack or on a plate with a side salad. 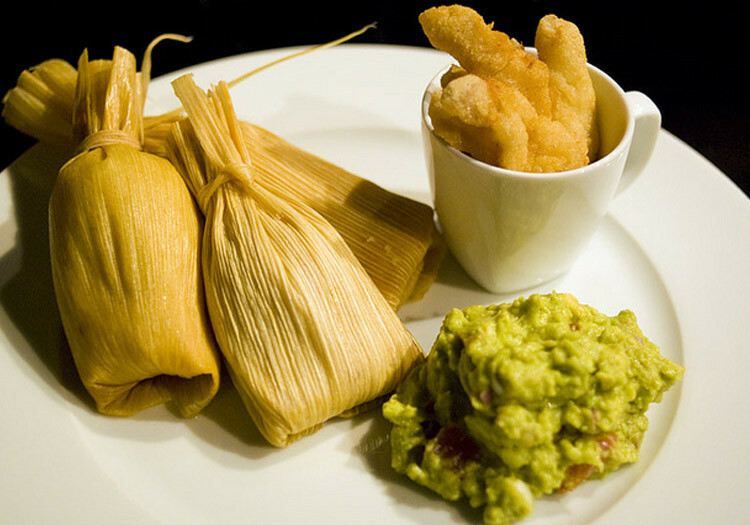 You can find tamales from Mexico to Argentina, obviously with several local variants. This filling is very popular in the Argentine Northwestern region, especially in the Salta region. It is corn-based dough filled with onion, raisin, boiled eggs and sometimes meat. 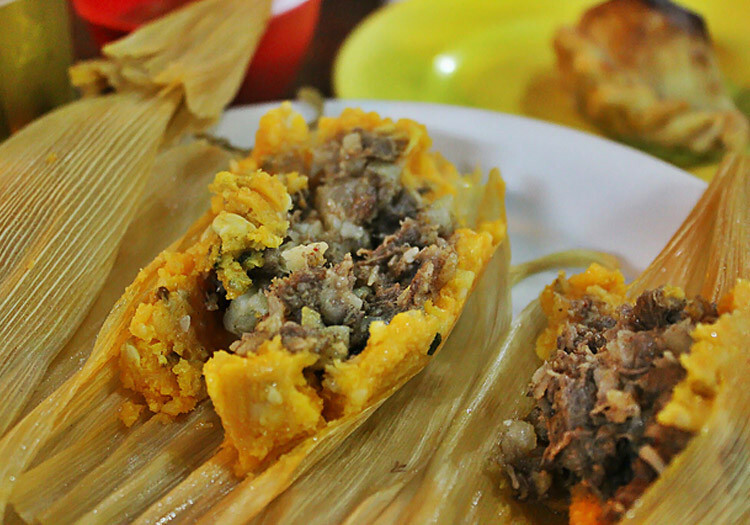 The filling is wrapped up in a corn leaf and cooked in soup. A delicious starter. The humita is very similar to the tamal but it is not stuffed. Ingredients: grated corn, onion, pumpkin, pepper, cheese, sugar, milk. The preparation is fried, wrapped into two corn leaves crossed and the parcel is cooked in boiling water. It is served very hot in the leaf.